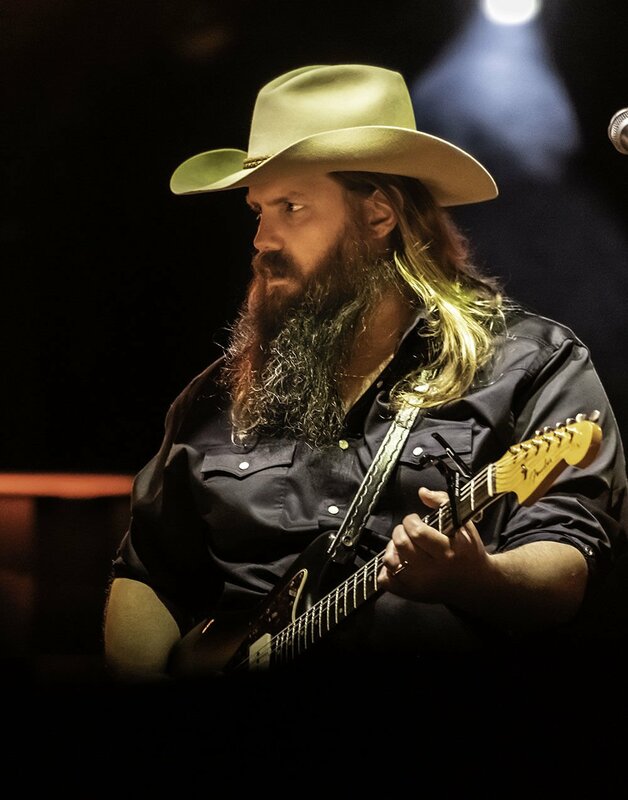 Chris Stapleton made his Country Thunder debut Sunday night to close out the four-day festival in Florence. Chris Stapleton fit into an eclectic lineup Sunday that closed the 2019 Country Thunder festival. Chris Stapleton set up in the back end of the Country Thunder stage Sunday night and never strayed far from his mic. For the neo-trad country/Souther rocker, the music was the mission. Tucson resident Brandon Cruthis was hanging out with Kelly, his friend Gina Clark's cockatoo. Clark said she brought Kelly with her for the weekend because the 15-year-old bird is good with people and apparently likes country music and turkey legs. Restless Heart lead vocalist Larry Stewart and the band played their signature ballads "I'll Still Be Loving You" and "The Bluest Eyes in Texas." FLORENCE — There's a lot of real estate on the Country Thunder stage here, but the neo-trad country singer and Southern rocker Chris Stapleton took up residence in the middle. Stapleton rarely moved beyond his mic stand as he sang in his deeply resonating, twang-rich baritone about the "Midnight Train to Memphis" whistling past his prison cell and about the love he had that made him a "Millionaire." And when that love leaves, well you "Might As Well Get Stoned," a song that woke up the crowd and had them cheering on the notion. 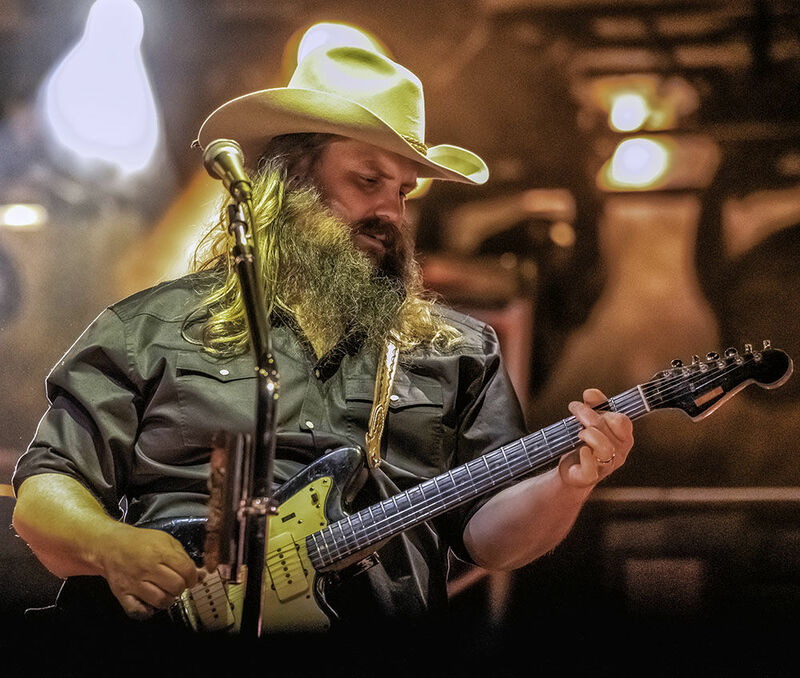 On the closing night of the 2019 Country Thunder festival Sunday night, Stapleton covered the Southern rock anthem "Free Bird," the title song of his breakthrough debut album "Traveler" and a handful of songs that mentioned whiskey in high regards including his soulful, bluesy version of "Tennessee Whiskey," all without straying far from that little patch of mid-stage. Stapleton was the final act in a Sunday lineup that included the 1980s super band Restless Heart, playing before an mid-afternoon audience of several thousand. Among that crowd were people whose births came decades after the band scored its signature hits "When She Cries" and "I'll Still Be Loving You." But that didn't stop the audience from singing along with Larry Stewart as if those songs were just minted. Newbie Aussie country singer Morgan Evans added a splash of contemporary pop country with his hit "Kiss Somebody" that prompted a group of fans in the field to dance with all the fancy moves that might have earned them a win in the festival's Electric Rodeo after-hours dance contests. And just as the sunlight was taking its final bows, Marty Stuart and his Fabulous Superlatives bounded on stage looking like they had been time-warped from 1960s Memphis. Stuart had a gorgeous shock of perfectly blown-dry gray hair that complemented his black pants and suit coat, accessorized with a kerchief around his neck. His tall, thin bass player Kenny "Cousin Kenny" Vaughan sported a powder blue cowboy hat that matched the baby blue fringes on his black suitcoat, while guitarist Chris Scruggs added splashes of bling to his suit coat and rocked the Buddy Holly frames. When they performed — a twangy, intelligently curated mix of bluegrass and country including tributes to Haggard and Cash and a fun cover of the surf classic "Wipe Out" — we realized that those outfits were making only part of the point. Country music's eye candy can never outshine the song. Which brings us to Stapleton and where he stood on that sprawling stage late Sunday night. Stapleton didn't have any bling Sunday night. His long beard and matching long hair were tucked beneath a cowboy hat that hid is eyes and he had on well-worn jeans and a matching shirt. For the most part, he was hidden beneath his cowboy hat and the shadows of the stage lights that flickered red and green and white. That could have been Stapleton's point: Judge me on what you hear, not what you see. And what we heard Sunday night was pretty terrific.